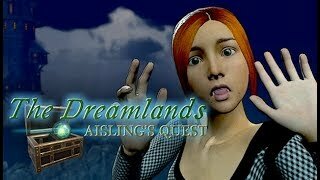 Help Aisling free The Dreamlands from The Mourner! The Dreamlands: Aisling's Quest is an adventure game that blends fantasy and mystery elements to present a gripping story. Venture into a world shaped by Aisling's dreams, and nightmares. Visit strange locations born from Aisling's subconscious as you hunt for different clues and magical treasures.